One of the most fascinating stories in photographic history stems from the search for a faster and better corrected successor to the Rapid Rectilinear lens. This quest culminated in the creation in the late 1800s and early 1900s of some of the most famous lenses of the twentieth century, many of which are in use today in only slightly modified form. During the heyday of the Rapid rectilinear lens, only two kinds of optical glass, crown and flint, were available. 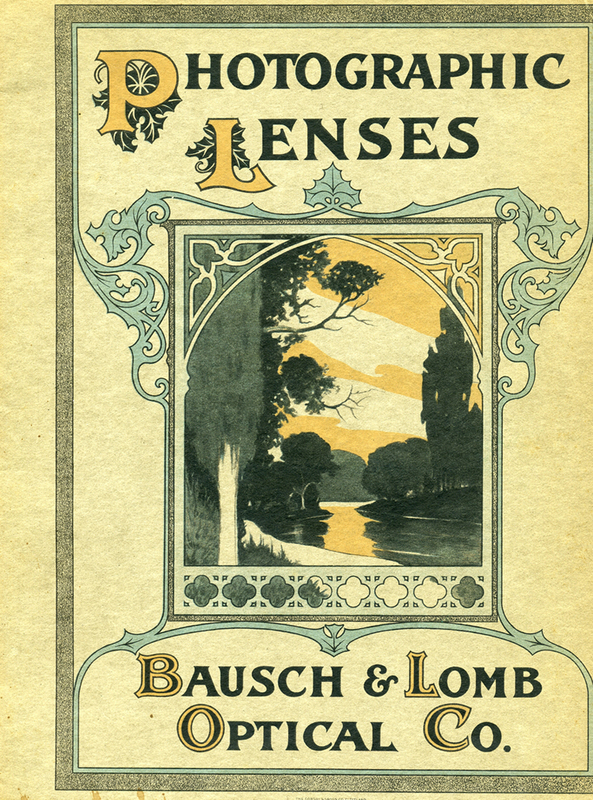 Of the several kinds of aberrations that plagued lenses of this era, the most difficult to correct for was astigmatism. A result of the inability of the marginal portions of lenses made from ordinary crown or flint glass to bring to a focus in the same plane the images of lines radial to the lens and tangential to it, astigmatism was the most recalcitrant of the aberrations. The search for a true “Anastigmat” lens became the Holy Grail of lens designers for many years. then scientific director and partner of Carl Zeiss, joined hands with the German chemist Otto Schott and founded the famous glassworks at Jena. With financial aid from the Prussian government, their collaboration produced not only the dense barium crown glass of high refractive index required for the first anastigmat lenses, but also a long series of new types of glass of varied optical properties. As an added benefit, lenses made with the new glasses and corrected for astigmatism were also extremely well corrected for chromatic and spherical aberration as well as having extremely flat fields of focus. The early anastigmat lenses built on the basic concept used in the Rapid Rectilinear lens, i.e., having two symmetrical or nearly symmetrical lenses on either side of an iris diaphragm, each composed of two or more elements cemented together. As in the case of the Rapid Rectilinear, many of the aberrations of the two lenses canceled each other out. In the case of the anastigmat lens, one of the pairs contained elements of barium crown glass of high refractive index; pairing this with a similar lens of conventional crown and flint glass elements allows correction of astigmatism as well. achromatic combination of low-refractive-index crown glass and high-refractive-index flint glass, but the rear group was an innovative achromatic doublet using Jena glass. The front and rear elements were located on either side of the diaphragm, effectively suppressing chromatic aberration. designer of the Goerz corporation had just died, and he won the position. Marketed as the Dagor (Doppel-Anastigmat GOeRz), it became one of the most successful anastigmats ever produced. Manufactured by the hundreds of thousands, it is still available on the used markets today. of the cemented surfaces of each pair with an air space, raising the difference in the refractive indices across the glass-to-air interface and resulting in a simple lens of high efficiency. This lens was first introduced as the Celor in 1899, and after its design had been recalculated by W. Zschokke in a mildly asymmetrical form, as the Dogmar in 1916.
an air space having a dispersive effect and resembling the corresponding element of the Unar. The rear component consisted of two cemented elements having a collective effect, the entire component closely resembling the rear element of the Protar. The name “Tessar” was derived from the Greek word tessera (four), indicating a four-element design. It has been claimed that the Tessar is a descendent of the Cooke Triplet (see below), but it is clear that this famous lens is a logical development of the Protar with replacement of one cemented surface by an air space. The Tessar design was licensed by Zeiss to other lens makers of the period. After the patents expired, it was copied by almost every major optical manufacturer (a partial listing is available in the Camerapedia entry at www.camerapedia.org/wiki/Tessar). The Kodak Anastigmats, the most popular lenses on good roll film cameras of the 1920s, are Tessars, as are their legendary offspring, the Kodak Ektars. A number of other excellent lenses represent modifications of the Tessar design, most notably the excellent Ross Xpres, the premier lens of the English Ensign roll film cameras; this is a Tessar design with the rear component consisting of three cemented elements instead of a doublet. The Xpres was introduced in 1913 based on a design by by J. Stuart and J. W. Hasselkus. The rear triplet served two functions: it to some extent reduced zonal spherical aberration, and it allowed the designers to bypass Zeiss’ patents! negative lens can be as strong as the outer two combined, so that the sum of the powers (diopters) of the elements can be zero, yet the lens will converge light. Since the curvature of the field is related to the sum of the diopters, the field can be very flat. At the time, the Cooke triplet represented a major advance in photographic lens design, being very highly corrected and having the additional advantage of being very light and compact. After the patents expired, this design was copied by multiple optical manufacturers. Many of the later Cooke lenses are still considered desirable acquisitions for large format work. Cooke is still a well known manufacturer of lenses for cinematography (see http://www.cookeoptics.com/cooke.nsf/pages/index.html). One of the greatest accomplishments of the Cooke triplet, however, was that it was the progenitor of one of the most famous lenses ever produced. In 1902, Harting calculated for the German firm Voigtlander a five-element system consisting of two cemented doublets with a singe biconcave negative lens between them. It is thus a true triplet, with the external lenses consisting of two cemented doublets instead of the single elements of the Cooke lens. These changes helped address the Triplet’s shortcomings of longitudinal aberration while still allowing for a fast aperture. The lens had a speed of f/4.5 and covered 50 degrees. Its large aperture made it suitable for portraiture and work at fast shutter speeds. Issued by Voigtlander as the Heliar, it is still one of the most highly regarded lenses ever manufactured, and the classic Heliars, produced for a variety of film formats, command respectable prices to this day. The Heliar went through numerous modifications, including one incarnation marketed as the Dynar, up into the 1960s; these have been carefully documented in the Antique and Classic Cameras web site (http://www.antiquecameras.net/heliarlenses.html). For the kind of 6x9cm (2 1/4 x 3 1/4 in) medium format work discussed here, the Heliar lenses are most commonly found on the Voigtlander Bessa roll film cameras and the famous Bergheil plate cameras. Vintage Kodaks from the early part of the twentieth century usable for fine art photography will most commonly come equipped with either an Anastigmat or a Rapid Rectilinear lens. Although the Rapid Rectilinear is the older design, when stopped down to f/16 or higher it is extremely sharp and, surprisingly, has excellent color rendition. “One of the most important photographic objectives ever made was the famous Rapid Rectilinear or Aplanat of 1866. This design came midway between the invention of photography in 1840 and the introduction of the Anastigmat in 1890, and lenses of this type were fitted to all the better cameras for nearly sixty years, a record scarcely surpassed by any others. By 1865 photographers had three types of lenses available to them: the simple landscape meniscus, the Petzval Portrait lens, and the wide-angle Globe lens or the Ross Doublet. What they needed was an intermediate lens covering about ±24° at f/6 or f/8, which, of course, had to be free from distortion. The Rapid Rectilinear lens was introduced by J. H. Dallmeyer in 1866. We do not know what led him to this highly successful design, but it may have been an assembly of two Grubb-type landscape aplanats about a central stop. Dallmeyer’s patent showed a lens that was manufactured and sold under the name of Wide-angle Rectilinear (Brit. Pat. 2,502/66; U.S. Pat. 79,323.) The front and rear components were similar but not identical, the front being larger than the rear, as shown in Figure (a). Very soon Dallmeyer found that it was better to make the two halves identical (Fig. (b), and this arrangement became the well-known Rapid Rectilinear. Most previous rectilinear (i.e., distortion less) lenses had been of low aperture, and Dallmeyer was therefore justified in calling his lens rapid, although the aperture was only f/8 or f/6 at the most. Simultaneously and independently an almost identical design appeared in Germany called the Aplanat. This was designed and manufactured by Dr. H. A. Steinheil (1832 – 1893). As Steinheil and von Seidel (the mathematician who had recently established the theory of lens aberrations) were good friends, it is probable that the Aplanat had been designed on proper scientific principles, and Steinheil naturally supposed that Dallmeyer had pirated his invention. The argument became heated, and letters from both parties appeared in the scientific journals. When the smoke cleared it appeared that Steinheil had priority but by only a few weeks. Simultaneous inventions are actually quite common. The need is there, the necessary technology has been developed, and we must expect to find several inventors in various countries all working along similar lines. The real clue to the construction of the Rapid Rectilinear lay in the choice of glass. The two glass types should differ as much as possible in refractive index yet be close in dispersive powers. The lower-index positive elements were inside, close to the stop, while the higher-index negative elements were outside. Among the glasses available in 1866 there were only flint glasses that met the requirements, and both Dallmeyer and Steinheil selected two flints, one light and one dense, to make their lenses. If the two glasses were widely different in properties the lens became long and worked at a higher aperture, while if the glasses were closely similar the lens became more compact, the components more meniscus-shaped, and the angular field became larger, though at a smaller aperture. Several series of these lenses differing in aperture and field therefore became possible. Thus, Steinheil’s Landscape Aplanat covered ±30° at f/10; his Wide-angle Aplanat covered ±45° at f/18; and he later developed a Portrait Aplanat, which covered ±12° at f/3.5. After the development of barium glasses, other combinations of glass types became possible that still met the requirements of a low V-difference and a high n-difference. For example, the Universal Aplanat of Steinheil used a common crown glass with a dense barium flint, and most of the later Rapid Rectilinear lenses also employed this type of glass combination. Actually, the Rapid Rectilinear is a fairly expensive lens to manufacture. The internal cemented interface is strongly curved and has to be polished one on a block for both elements. The lens did have one outstanding virtue, in that the aberrations were well maintained over a wide range of object distances, so that the same lens could be used equally well on a camera or an enlarger, or for copying full-size without distortion”. Kingslake, R. A History of the Photographic Lens, Academic Press, 1989. ISBN 0-12-408640-3. p. 59-62. Zahorcak, M. “Evolution of the Photographic Lens in the 19th Century – Working constraints in lens design, Early adaptations and designs, The landscape lens, The portrait lens.” http://encyclopedia.jrank.org/articles/pages/1015/Evolution-of-the-Photographic-Lens-in-the-19th-Century.html.